WooBamboo launched Earth Day of 2013, after over a year of development. 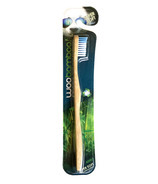 In less than 3 years, their line of natural bamboo toothbrushes are available in over a dozen countries. 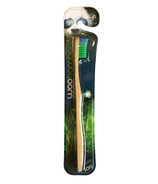 A bamboo toothbrush is a fantastic alternative to the typical plastic or nylon toothbrush - of which over 2 BILLION end up in the world's landfills every year. 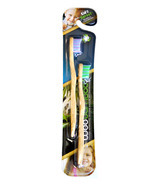 So far, over half a million plastic toothbrushes have been replaced with Woobamboo toothbrushes! 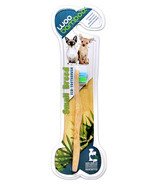 Woobamboo has placed their focus on making safe, eco-logically friendly, and ethically sourced oral care products. The bamboo used in their brushes is sustainably grown, organic, BPA-free, naturally anti-microbial, durable, and biodegradable! A Woobamoo toothbrush is a choice - a choice for a cleaner planet. 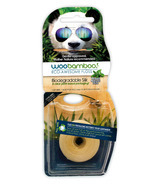 When you start and end your day using WooBamboo, you know you've done something good for the environment.